Home > Target > Target Coupons > Target Photo Coupons = Free 4×6 and 8×10 prints! Target Photo Coupons = Free 4×6 and 8×10 prints! 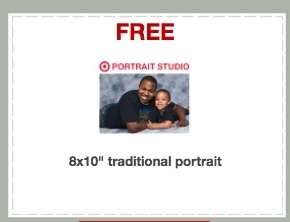 I want to make sure you don’t miss two chances for free pictures at your local Target store right now! They have two coupons available to print that makes for easy free deals. $1 off (10) 4×6 Prints – on sale this week for 10¢ each! So grab 10 prints and pay nothing after the coupon. See more deals to grab at Target.